How Much Orange is Enough? David Schulze sent this card with a tiny bit of orange. On the back of this card David wrote “People who think orange is a difficult color probably never got art in the mail that was made using the color orange.” I agree!! All three cards say “Art is Life. 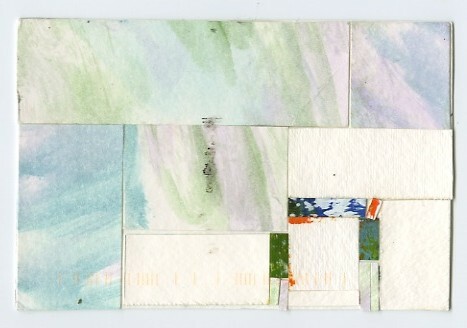 Make Art.” The backs of these cards are stamped, dated and certified Original #1308. 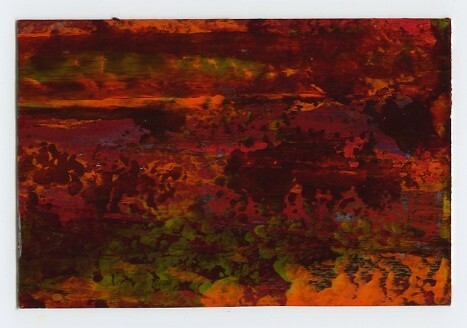 This entry was posted in card, mail art call, Orange is a Difficult Color, Received and tagged mail art, mixed media, Orange, paint, paper, postcard, stamped. Bookmark the permalink.